Homes are unaffordable in the US, but the situation is far worse in Canada. Point2homes has an interesting set of charts on Home Affordability In Canada vs the US. The average Canadian has to dish out a whopping 56% more to buy a home, or 25% more to rent one compared to ten years ago, but the median wage in Canada only went up 15%. The average home price in the U.S. increased at a much slower rate (24%), while the median income went up by 18%. Since 2008, the Canadian dollar lost approximately 25% of its power compared to the American dollar, going from almost perfect parity to a much lower exchange rate. The affordability crisis worsened in Canada, where the housing market went from “seriously unaffordable” to “severely unaffordable”, but the American housing market remained in the “seriously unaffordable” category. Eight years into the new millennium, the U.S. marched head first into one of the worst economic crises in its history following the bursting of the housing bubble. 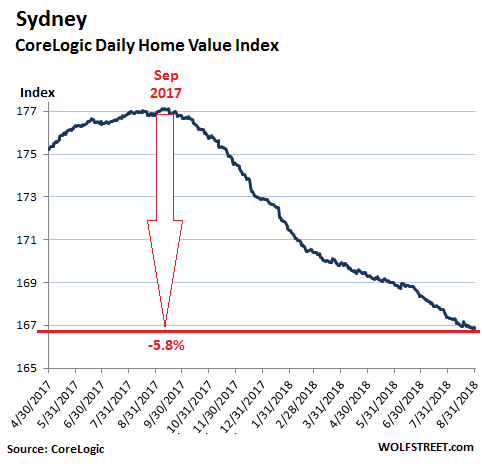 Canada’s real estate bubble hasn’t yet popped and the country has not yet seen a major decline in home prices, but the Canadian economy experienced its own share of turbulence following the oil price crash from 2014 and the burst of China’s speculative bubble. And now, 10 years after the housing crisis that destabilized the U.S., some analysts claim that Canada faces a similar scenario if it stays the course: household debt currently exceeds 100% of GDP, according to data released by the Bank for International Settlements, the average home price went up 56% in ten years, while the median wage per household only increased 15% during the same period, and loose lending is on the rise. For the past 20 years, however, we have had a series of wealth bubbles – first the Dot-Com bubble, then the Housing Bubble, and today the Financial Asset Bubble – that have made us richer than our economy grows. Each of these bubbles was intentionally “blown” by the Fed through monetary policy. Did The Nasdaq Bubble Just Burst? 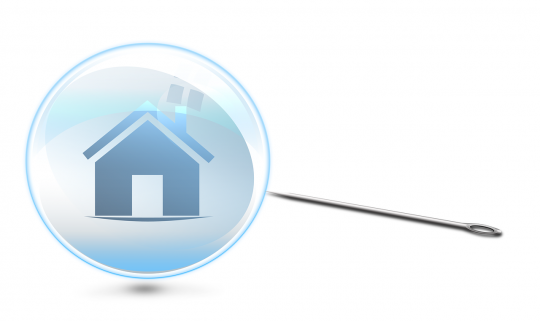 Regular readers will recall when back in March, Bank of America cautioned that after the tech bubble in 2000, the housing bubble in 2006, we were witnessing the third biggest bubble of all time: the e-Commerce bubble. 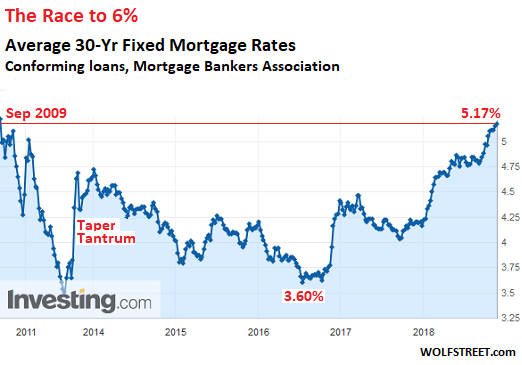 September marked a decade since the bursting of the housing bubble, which was followed by the stock market meltdown and the government bailout of the big banks and Wall Street. Last week’s frantic stock market sell-off indicates the failure to learn the lesson of 2008 makes another meltdown inevitable.In 2001-2002 the Federal Reserve responded to the economic downturn caused by the bursting of the technology bubble by pumping money into the economy. This new money ended up in the housing market. This was because the so-called conservative Bush administration, like the “liberal” Clinton administration before it, was using the Community Reinvestment Act and government-sponsored enterprises Fannie Mae and Freddie Mac to make mortgages available to anyone who wanted one — regardless of income or credit history. Ben Bernanke responded to Paul Krugman’s post last week, which agreed with my argument that the main cause of the Great Recession was the collapse of the housing bubble rather than the financial crisis. Essentially, Bernanke repeats his argument in the earlier paper that the collapse of Lehman and the resulting financial crisis led to a sharp downturn in non-residential investment, residential investment, and consumption. 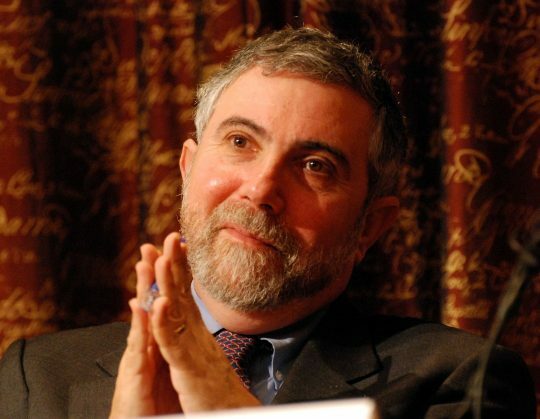 I’ll let Krugman speak for himself, but I see this as not really answering the key questions. I certainly would not dispute that the financial crisis hastened the decline in house prices, which was already well underway by September of 2008. It also hastened the end of the housing bubble led consumption boom, which again was in the process of ending already as the housing wealth that drove it was disappearing. I’ll come back to these points in a moment, but I want to focus on an issue that Bernanke highlights, the drop in non-residential investment following the collapse of Lehman. What Bernanke seemed to have both missed at the time, and continues to miss now, is that there was a bubble in non-residential construction. This bubble essentially grew in the wake of the collapsing housing bubble. And with impeccable timing, an immense flood of new construction. 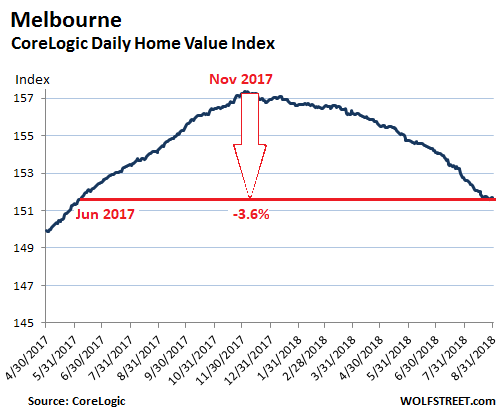 In Brisbane, home prices inched up 0.9% year-over-year. In Adelaide, home prices ticked up 1.0%. In Perth, home prices fell 2.0%, with houses down 1.5% and condos down 4.4%. Prices have been skidding since late 2014, when Western Australia mining boom turned into a mining bust.